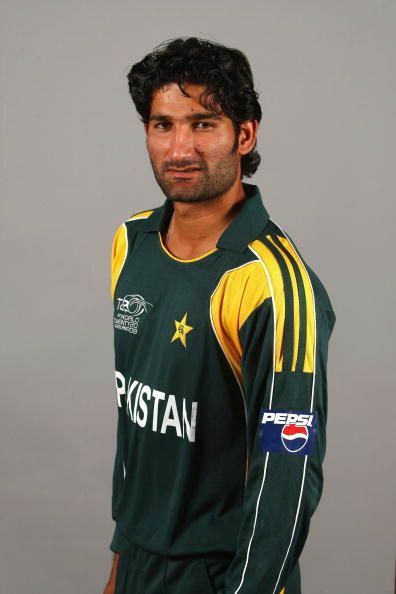 Sohail Tanvir is a Pakistan Cricketer born on 12th December, 1984, in Rawalpindi. He is a left arm fast medium bowler and a left arm lower order batsman. He plays for Pakistan, Rawalpindi Rams and Multan Sultans. Tanvir made his first-class debut for Rawalpindi against Peshawar in October 2004. He picked up 3 wickets in his first match. In the second match, he impressed everyone with his 97 runs and also picked up 3 wickets. He represented the Pakistan Academy on their tour to Bangladesh in 2007. He showed everyone his all-round performances and got selected for the ODI series against Australia A at home. His impressive performances caught the eye of the national selectors who named him as the replacement for Shoaib Akhtar in the inaugural ICC World T20. He made his debut for Pakistan in the World T20. He played his first match against India in which he picked up 1 wicket from his 4 overs. He took 6 wickets in the tournament. Following this tournament, he made his ODI debut against South Africa at Lahore in October 2007. Tanvir picked up 1 wicket in the match conceding 52 runs. Tanvir made his test debut against India in November 2007 at Feroz Shah Kotla, Delhi. He picked up 3 wickets in the match which ended in favor of India. Following his ODI debut he was selected for the tour against India in which he picked up 8 wickets. This followed up with the test series against India where he picked up 5 wickets from the 2 matches he played. In June 2008, during the Asia Cup Pakistan played its first match against Hong Kong. Tanvir setup a 100-run stand with Fawad Alam for the 8th wicket. He scored his maiden fifty for Pakistan with his 55 ball 59. In the next match he picked up his first 5 wicket haul against Sri Lanka. He ended with the figures of 5/48 from the 10 overs. It was during this time that he made his debut for Rajasthan Royals in the inaugural edition of the IPL. He picked up an impressive 6/14 against Chennai Super Kings at the Sawai Mansingh Stadium. He got injured after the ICC T20 World in 2009. The knee injury kept him out of the game for a year and returned to face New Zealand but was later dropped as selectors thought he did not recover fully. He was out of the National team due to a knee injury and inconsistent performances have also put him out of the National team. He plays for Rawalpindi Rams in the List A matches and also plays for Guyana Amazon Warriors in the Caribbean Premier League. He played for Lahore Qalandars in the Pakistan Super League before joining Multan Sultans. He represented Rajasthan Royals in the 1st edition of IPL in 2008 where he got the Purple Cap with his impressive performances. He also played for Surrey team in the 2009 County Championships.